One day Alexi borrowed a small icon of St. John the Baptist from his uncle, confined himself to his room, and there began to experience great inner warfare. He was moved by a profound love for his mother, sisters, brothers, and friends, but at the same time he sensed an invisible force calling him to the spiritual life. 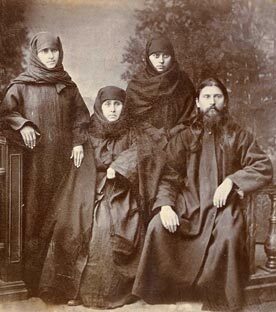 St. Alexi with his mother and sisters. Around the year 1885 St. Alexi moved to Gelati Monastery, where he continued to study and produced several original works. In 1886 he was reassigned to Khobi Monastery and ordained a deacon by Bishop Grigol, and in 1888 he was ordained a hieromonk. 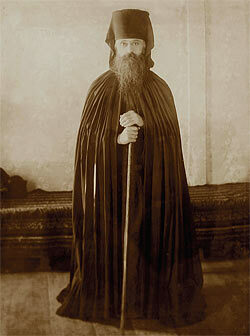 Two years later, in 1890, he became ill and returned to be with his mother and sisters at Teklati Monastery. St. Alexi kept a life-size cross in his cell, and when he prayed he supported the cross on his back, since it reminded him of the position in which St. Simon of Cyrene carried the Holy Cross to Christ’s Crucifixion on Golgotha. After many years the strict ascetic life finally took its toll on Fr. Alexi’s health. He dismissed his pupils and spent the last years of his earthly life (from around the year 1915) with his cousins, the schemanuns Akepsima and Pasto. 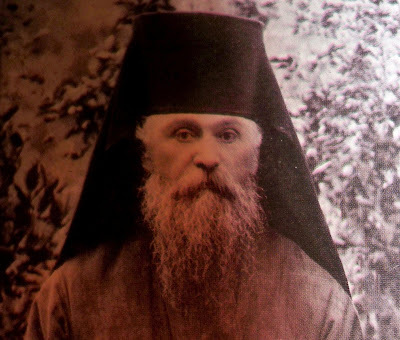 St. Alexi reposed January 18, 1923, frail from a long and labor-filled life in the service of the Lord. 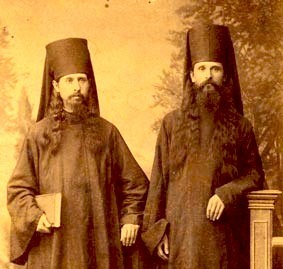 For forty days after his death, the schemanuns Akepsima and Pasto remained in his cell for fear that the Communist government’s henchmen would destroy his humble dwelling. Later they buried Fr. 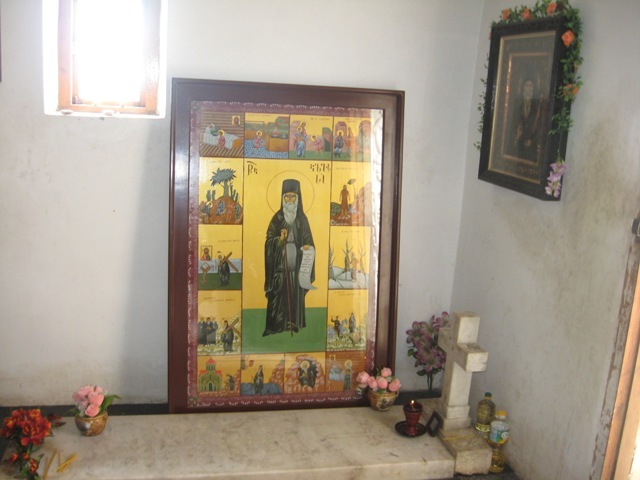 Alexi’s body at Teklati, and themselves began to labor at the Archangels’ Monastery. With the blessing of Metropolitan Ephrem of Batumi-hemokmedi and Chqondidi, Schemanun Akepsima and Abbess Pasto translated Fr. Alexi’s incorrupt relics from Teklati to the Archangels’ Monastery and buried them near the east wall of the temple on January 8, 1960. 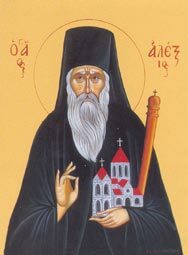 St. Alexi was canonized on September 18, 1995.